The 2013 HS boys team posted an 8-2 record, including sweeping the season series against rivals Chelsea, Seton, Emmanuel Christian, and Grace Prep. The Vendeens junior high and high school boys soccer teams will begin their seasons on Tuesday, September 9th. This year’s junior high schedule includes 9 games, which the high school has a 14 game set, concluding on October 24th at Chelsea Academy in Front Royal. The junior high team enters its fifth season, and has never had a losing season! The high school team looks to build on its first ever winning season last year. 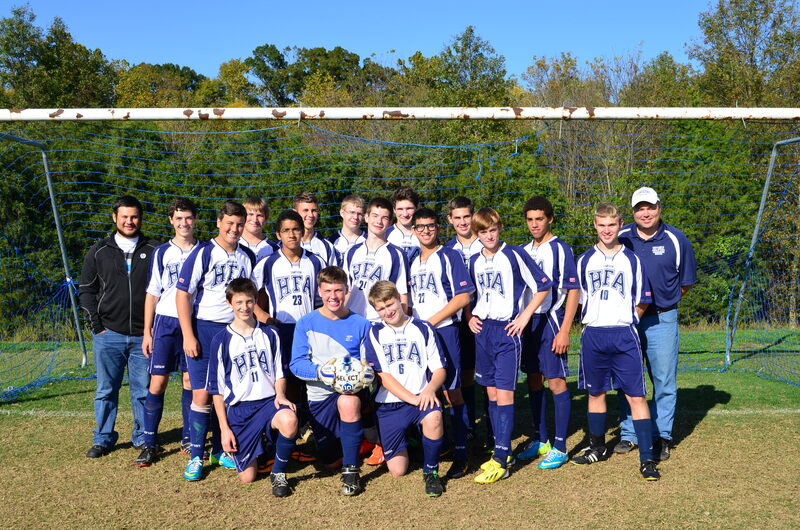 More information, and the full schedule for both teams, are available on the soccer page on the HFA Athletics website. Go Vendeens! Holy Vendeen Martyrs, ora pro nobis! By holyfamilyacademy in Athletics, Uncategorized on September 1, 2014 .